This morning we had the wonderful pleasure of welcoming Becket and Missie into Fort Fido. Becket is a 50 pound, 1 year old, Nova Scotia Duck Tolling Retriever (very pretty and soft brown and white fur). She came into Fort Fido calm and eager as if she knew that The Fort is a place to relax and have fun at. Becket socialized with the pack in medium roll and definitely made a lot of friends today. 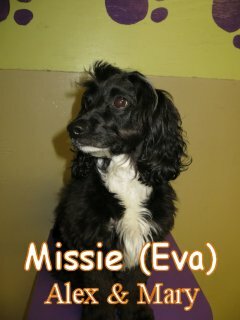 Missie is a 23 pound, 2 year old, labradoodle (adorable!). Missie entered The Fort confident and ready for the day. She got to mingle about with the pack in small roll. Missie is figuring out that Fort Fido is a place to make new friends and enjoy. 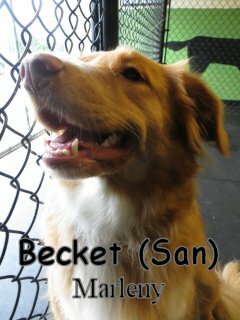 Both Becket and Missie did well for their first time here and we look forward to seeing them return for more fun.